In this series of guest posts, three choreographers from CityDance talk about the artwork that inspired their movement for this Thursday’s Angels, Demons, and Savages-inspired Valentine’s Day Dance Experience(UPDATE: this program is sold out). Read Lorraine Spiegler on Alfonso Ossorio’s The Helpful Angels here. Below, Christopher K. Morgan discusses Jackson Pollock’s Untitled (1951). Researching l’art brut guided my direction for the piece. Given the title of the exhibition, I half expected the paintings to be connected to mythical and religious demons. But as I learned more about l’art brut, I began to interpret the paintings as exploring and coping with psychological demons. Many artists in this movement studied or worked with patients in insane asylums, building upon their own intimate knowledge of battling with stability. There’s a level of intensity and obsessiveness in the imagery which anyone with rigorous ballet training understands on some level. This concept resonated with our sophisticated conservatory dancers, and they ran with it. As we developed the choreography, we explored the idea of presenting beauty to the audience, then turning away to let an uglier, less glamorous side emerge. The movement also mimics thrown paint, the idea of expelling these torturous obsessions when they’ve reached their boiling point. Like the paintings in this exhibition, Demons is partly a reflection of how inner turmoil might present itself on the surface. 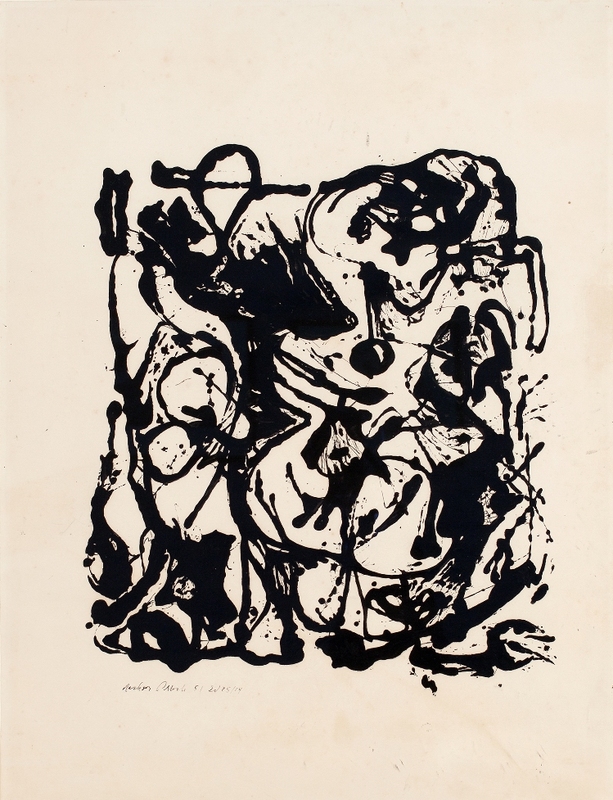 This entry was posted in Exhibitions and tagged choreography, CityDance, Jackson Pollock. Bookmark the permalink.